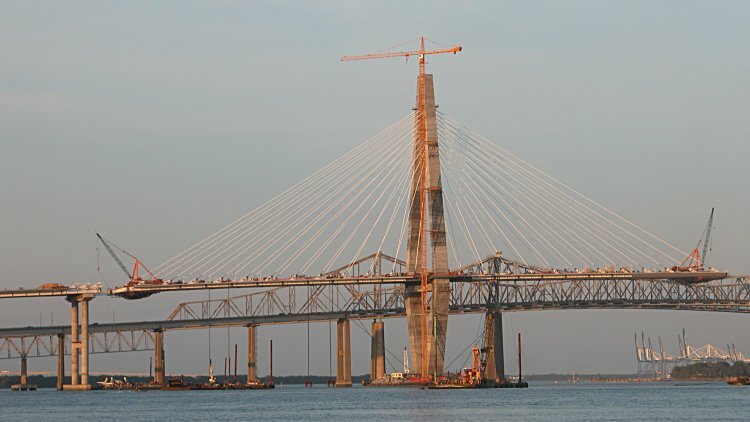 "Interestingly enough, neither one of the girders will actually be connected to the approach span until possibly next week. 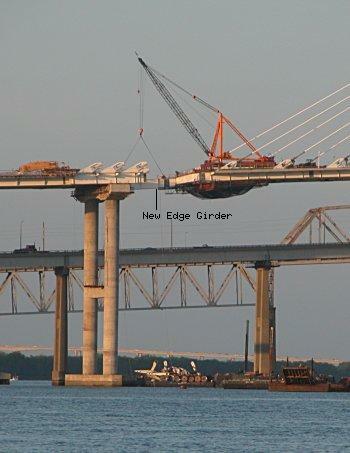 As you probably noticed, the west end of the girder is hanging a couple of feet lower than the approach girder. 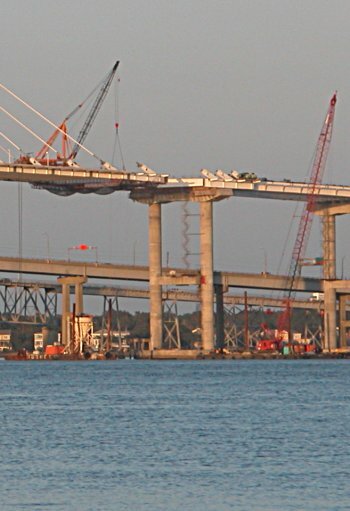 In order to get everything lined up right, the rest of the steel on this segment will have to be placed, the net traveler will have to be rolled onto this segment, the entire west tower deck will have to be "unjacked" back toward the approach, the next pair of cables will have to be installed and partially tensioned, additional tensioning will have to be done to the previous pair of cables, deck counterweights will have to be moved, and deck panels will have to be placed. Then and only then will all of the bolt holes be lined up perfectly to do the final bolt-up at the connection to the approach." 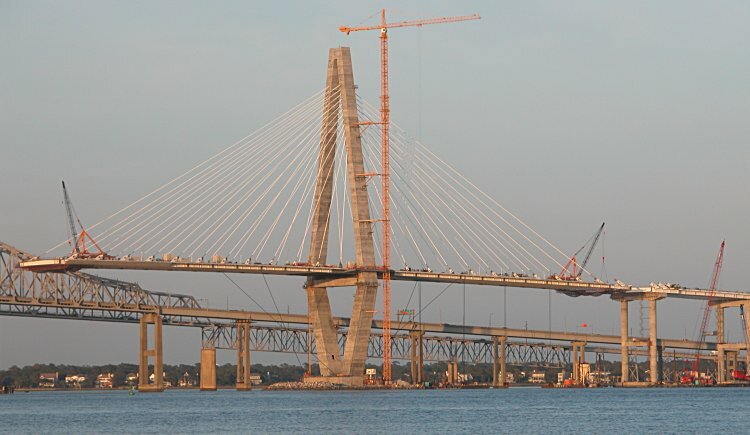 "To add a little detail to the "unjacking" that was mentioned, last week, the entire 1/4 mile long west deck was jacked toward the channel about 3 1/2" using a few 200 ton hydraulic jacks to prepare for the placement of the last two edge girders. The deck will have to be slowly and partially released back to get the alignment just right for the final connection."